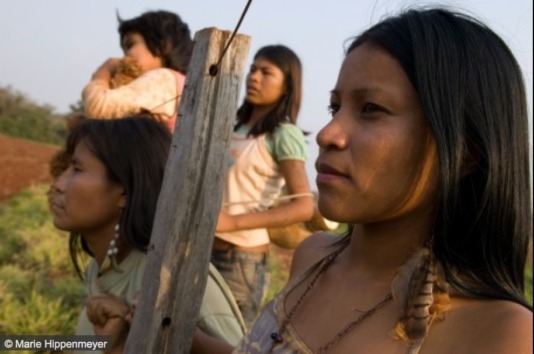 The Berlinale film festival is set to screen a film about the Guarani-Kaiowà, a people who have been evicted from their ancestral lands in Brazil. Birdwatchers, from 2008, will screen twice next week as part of the NATIVe section of the festival. Director Marco Bechis developed an authentic screenplay along with the Guarani-Kaiowà, casting leader Ambrósio Vilhalva as the clan leader in the film. Vilhalva was tragically murdered in December after decades of campaigning for his tribe’s right to live on their ancestral land. The film follows this theme. The Berlinale is screening Birdwatchers in an effort to preserve the memory of Vilhalva's life and his people's struggle to retain their home and self-determination.